Happy New Year everyone!!! Hope you have a great 2013 and are able to spend a lot of time on the water. Anyone have any big fishing plans for 2013? My vacation in Maine has been enjoyable and relaxing and was made extra special with the large dose of snow we received yesterday. There's nothing like staying home all day and watching the snow come down. 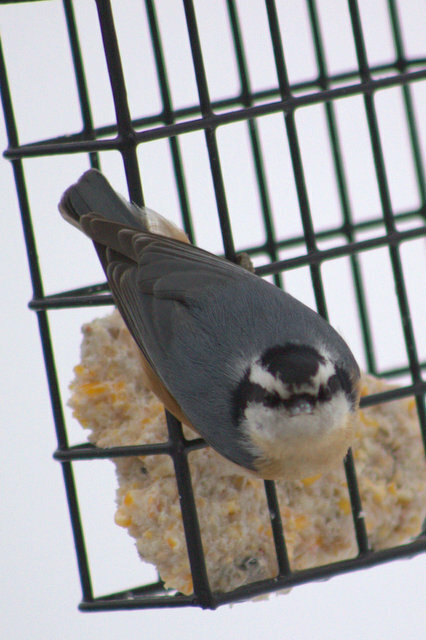 The feeders were a big hit with our feathered friends, and I spent plenty of time trying to photograph them from the comfort of the warm indoors. 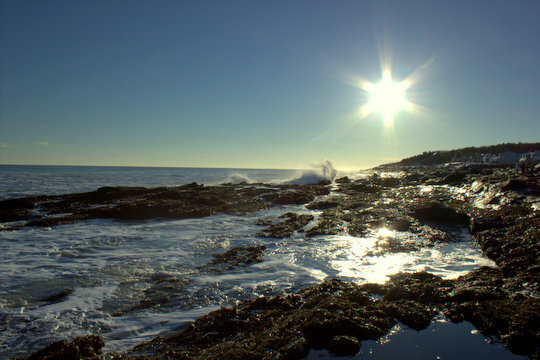 Today we made it out to two well-known spots in the Portland, Maine area, Two Lights and Portland Headlight. 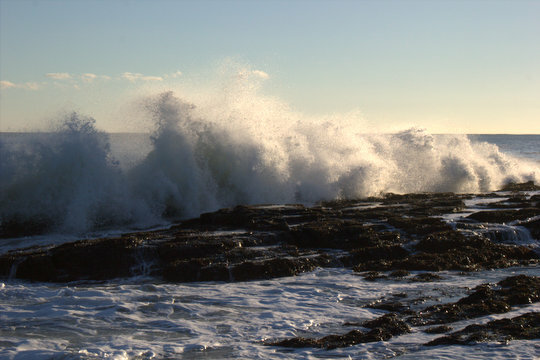 The first is a state park on the coast complete with rocky shoreline while the second is a famous lighthouse. My camera has been kept very busy the past couple of days. I have tons of pictures to sift through and it will take some time to finish that process. In the meantime, here are three pictures that caught my eye at first glance. Sunday may have been my last trip of 2012. 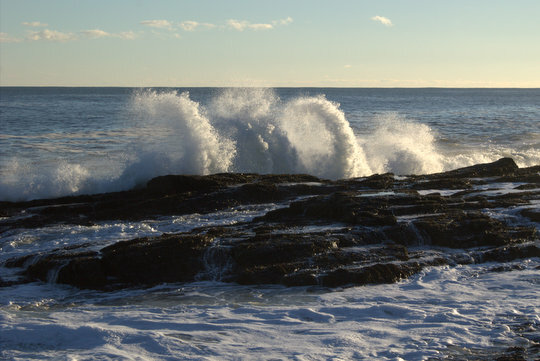 There is the possibility of venturing out while in Maine for Christmas (yeah, you read that correctly), and if any of you have any helpful hints and suggestions I'm all ears. Realistically, however, in all likelihood I logged my last trip of the year. Best of all, the fish were still hungry!!! 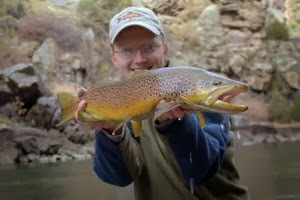 A trip to Boulder provided a great excuse for tossing a fly rod in the car. One can always hope right? On Saturday, I drove about a mile up Boulder Canyon and was dismayed at the amount of solid water. Yep, winters in Colorado are just a little bit different from those in Tennessee. Amazingly, there is still a fair amount of open water in town. After quickly rigging a rod, I hit the stream with, you guessed it, my favorite little white streamer. Time has been tight lately but I promise that I will get around to doing an article about this great winter time fly. In the first pool and riffle, I found zero fish. Not to be deterred, I worked my way upstream. The next pool was much more promising. A little trick I like to use this time of year is to find pools where I know fish spawned. 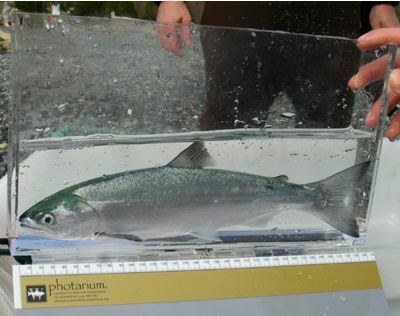 Normally fish will move to the closest deep water after spawning to ride out the cold months. The next pool I fished was such a pool. The tailout still had the telltale signs of recent spawning activity so I was fairly certain there were some browns nearby. In fact, my first cast into the heart of the pool produced a rather impressive follow for the size of the creek, one of those "I'm coming back again later" type of moments. Not a giant fish mind you, but large enough to be interesting. Working my way into the run/riffle area at the head of the pool, I was surprised at how many fish were following the streamer out of the faster water. The fish were definitely hungry and willing to eat while the stream conditions were still marginally favorable. Finally, I saw two fish racing to hit the streamer at the same time. The smaller of the two won, and I was a bit surprised to discover a brook trout with a face full of streamer on the end of my line. Working my way up through riffles and pools, I found a few more willing fish. As usual, I discovered several creative ways of spooking the best fish of the day. This time of year can be particularly tough with low clear water, but I was already satisfied. I hadn't really expected much out of the outing, but those are usually the times when the fishing is actually pretty good!!! While driving through Boulder yesterday, I found Santa's lost reindeer...or at least that's the first thing I thought of when a group of deer came tearing down the street just in front of me. My first thought was that they were running away from Santa, but then I realized they were just regular Mule Deer. I'm still not sure what frightened the deer so badly, just as I'm also not sure what they were doing out running around only a few blocks away from the Pearl Street Mall in broad daylight. Still, it provided a great opportunity for me and my camera which is almost always close at hand. As luck would have it, the settings were already almost right on for the lighting. They briefly stopped in someone's yard to pose, still obviously disturbed about something. Next, they attempted to fly which started me wondering again if they were perhaps reindeer in disguise. However, their brave efforts always brought them back down to earth. ...bad is the fishing right now? That's a question I've been asking myself as the weekend continues to draw closer. Perhaps I should be asking myself how good is the fishing though because so far I haven't had a bad day in Colorado. My goal was to get to 70 days on the water for the year, so getting stuck one short sounds like a great opportunity for annoyance. This becomes even more of a factor when I think about all those warm days a few short months ago that I did not choose to go fishing. Hindsight is definitely 20/20, but now the question becomes, is it really worth it? I think the answer is probably yes, which then begs the next question: When and where to go? I'm thinking about exploring in Clear Creek again. I'm sure the ice situation will be less than ideal, but maybe there will still be enough open water that I won't go entirely crazy. The Blue sounds like a possibility as well although with highs in the low 20s forecast most of the weekend (at best), I'm not sure that my frozen fingers could thread the tiny midges that will probably be required. Dilemmas about where to go fishing are good ones to have, so maybe a little help is in order. Where do you think I should fish this weekend, considering that I don't really want to drive more than an hour or two at most and prefer less? Things have finally cooled off a little, although today and tomorrow will see highs back in the 50s on the plains east of the Rocky Mountains here in Colorado. Still, we had a bit of snow a couple of nights ago and in general things in the high country have cooled from reasonably chilly to frigid cold. My fishing excursions will be limited for a while which means I might have a little more time to tie. My nymph and streamer boxes need some (will actually a lot) of help and because of my move, I now need to tie some regionally appropriate (or should I say required) dry flies also. 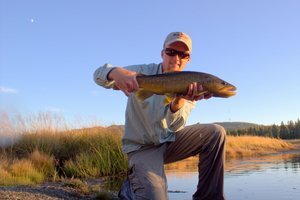 There will be occasional fishing trips as well including at least one or two trips to area tailwaters. I use the term area loosely, suggesting anything within distance of a day or short weekend trip is fair game. Do I dare dream of the Frying Pan and the Taylor? Time will tell. Outside of fishing, it is that dreaded season of final exams, Christmas programs, and all of the other activities that consume unusual amounts of time. Of course, I'm glad for the holidays because that means some time off, but getting past the flurry of things to do is always tiring. 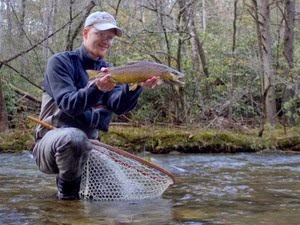 I'm already dreaming of warmer weather, spring BWO hatches, and yes, even my spring break trip to Tennessee. After all my adventures to places like the Grand Canyon and the Everglades over the past few years, I'm returning home for spring break. The timing is perfect so the bugs should be hatching and the fish hungry. Until then, you'll find me trying to keep warm and rest up for another great year of fishing in 2013!!! December 7, 1941 is naturally memorable to any patriotic American, but then there is December 7, 2012. I'm guessing the trout of Clear Creek might remember this one for awhile. I did not have much time on the water, 2 hours or so at best, but the trout were out and hungry. The weather is mild enough to have the trout on the feed but still cool enough that most people are avoiding this stream. That's just fine with me. After taking care of a few items of business, I grabbed my gear and headed towards Golden. After having a blast throwing streamers last Sunday, I assumed the continued warm weather would have even more of the stream open to fishing. My hunch proved correct as the majority of the stream was free of ice now at least on the lower end where I focused my efforts. Small streamers were again the name of the game. I fished a couple of different white streamers and the fish were willing to eat them both dead drift with occasional twitches and also ripped through the currents to imitate a fleeing baitfish. Back to the fishing, things started out okay but not great. I had a few half hearted follows and a few more genuinely interested fish. Amazingly, there were still fish out in the riffles and pocket water although many more have already moved to the larger pools where they will spend the cold winter months. The water temperatures had come up some since last Sunday. Again I relied on the highly scientific hand dip technique and feel fairly safe saying the water temperature was at least 5 degrees warmer than on my last trip. As the shadows grew longer, the fish responded to the more comfortable water temperatures. Perhaps the approaching front had them anxious to eat as well. Whatever the reason, more and more fish started to attack the streamer. Finally I brought one to hand and the skunk was off! Over the last 45 minutes, I stung and even plain ol' missed more fish than I can remember. The first fish was the smallest and the others included some very respectable trout. Again, like the last trip, I couldn't connect with the largest fish of the day. One of my favorite things about cold weather is that most people don't want to fish anymore. That's just fine by me because the fish are still hungry. My original plans to venture up to Estes Park this past Sunday were drastically altered when the Fern Lake Fire thundered out of Forest Canyon early Saturday morning, fanned by winds gusting up to 70 mph, spreading three miles in just over half an hour. The fire was started almost 2 months ago, probably by some idiot uninformed person who should have stuck closer to their car instead of venturing into the backcountry. Fast forward to this past Saturday, and the east side of Rocky Mountain NP is now closed because of the blowup. Estes Park is threatened but safe thus far. Not wanting to scratch my plans altogether, I look at option two. After my first visit, I knew that Clear Creek would be a favorite. Easily accessible and full of wild brown trout and even a few rainbows, it is just the type of stream to provide an enjoyable but short fishing trip close to home. Some friends were planning on rock climbing at Golden so I decided to make it a day by climbing when the sun was high overhead and then fishing an hour late in the day. The climbing was fantastic although a little crowded. I'm still in a bit of shock at how crowded the crag was, but I guess that's the problem with accessible winter climbing options close to a major metro area. In Tennessee I was blessed to have phenomenal climbing and fishing close by, and while the tailwaters could definitely get a little crowded on occasion, with just a bit of effort it was possible to find solitude if one wished to. After enjoying some time on the sun-warmed rocks, we headed back down the hill and through the town of Golden. If you have never been, I highly recommend stopping by if you are in the area. There are tons of cool little shops and restaurants in the downtown area, and despite being close to Denver, the town somehow maintains a small town atmosphere. Entering Clear Creek Canyon, the shadows suddenly seemed much longer as the hills wrapped in close to the road. Not too far up the canyon, ice started appearing along the stream edges although it was apparent that the warm weather had been melting it away. For a moment, I had the fleeting idea to do things "right" and tie on a couple of tiny midges with a little split shot and an indicator. That thought was quickly chased by another: streamers. Cold weather calls for extremes. Either you go tiny and stand in one spot and freeze to death or go big and keep moving. While the keeping moving definitely appealed, in the end it was just my soft spot for streamers that won out. I tied on a small white streamer that doesn't have a name, just one of those things a tier throws together during the long winter nights when they get bored with the necessary patterns for the next year of fishing. Nervously I pondered retying portions of my leader, but laziness won out. This was one of those days were I would deal with a lost fish. It was just nice to get out. Creeping towards the first pool, I lobbed the streamer across the current and into a dark back eddy. 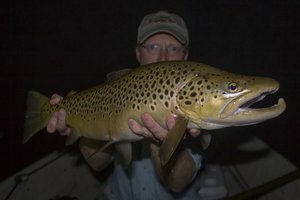 On the third cast, I almost fell in as the largest brown I have personally seen on Clear Creek came out to swipe at the streamer. From what I have read, a 16 inch fish would be considered a nice fish on this particular water. Unfortunately, the fish swirled and missed the hook altogether. A few more casts produced two more follows, each more heart stopping than the last, but ultimately the fish finally faded into the blackness and was gone. Moving down through the pool, I carefully worked each bit of cover until finding all the fish at the back of the deepest part where the current was soft and they had a good view of all the food drifting downstream. A nice 12 incher flashed and then vanished. Then an 8 incher attacked with gusto, and I hooked my first trout of the afternoon. The barbless fly soon slipped out though, and I was left wondering if I would strike out on this day. About then, I got the itch to explore and started working up the stream from pool to pool. After one half-hearted follow in the next pool, and absolutely nothing in the next two after that, I returned to where the big guy lived. Several casts with different patterns produced nothing more. Contemplating stopping or trying a new spot, I finally decided that it was still too early to give up. Heading up towards the car, the new plan was to drive back down the canyon and stop at each really good pool. Half way up the slope, I noticed a small pool that I had ignored earlier just below the really good hole. In a hurry to get in the car and drive downstream, I almost gave up. Then my curiosity kicked in. Moving towards the pool, I saw a small hole between several rocks above the heart of the main pool. Carefully, I lobbed the little white streamer in. Right on cue, a beautiful brown materialized from under one of the rocks and gently inhaled the fly. I set the hook and hoped the fish wouldn't run too far or too fast. 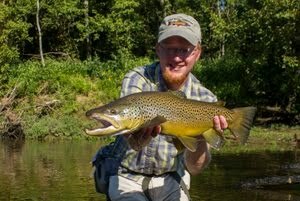 Thankfully, the cold water had the fish almost lethargic and after a few half hearted attempts to gain the current, I quickly landed the brown and snapped a couple of pictures. Smiling to myself, I eased the fish back into the frigid water. Yes, the fish are there and they still have to eat. Thankfully I was able to fish on what will probably turn out to be the warmest day of the month.